Disneyland Park is first theme park out of two, built at Disneyland Paris in Marne-la-Vallee, France. Its layout and attractions are similar to Disneyland Park in Anaheim, California and Magic Kingdom at Walt Disney World in Bay Lake, Florida. The park hosts approximately 11 million visitors each year, making it the most visited theme park in Europe and also the sixth most visited theme park in the world. 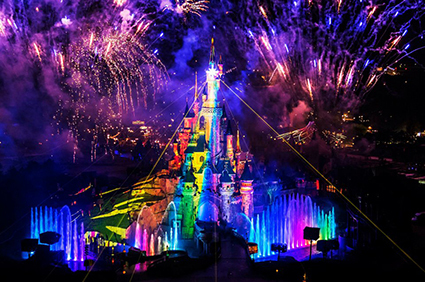 Disney Dreams: - Disneyland Paris includes night time spectacular featuring fireworks, water fountains, laser show, castle projections and many more Disney Dream shows. The shows are non-stop litany of technical effects but also the thread with Peter Pan tying together a montage show with a heavy emphasis on French and other European Disney Stories with a nice narrative thread. Disney Dreams is not to be missed. 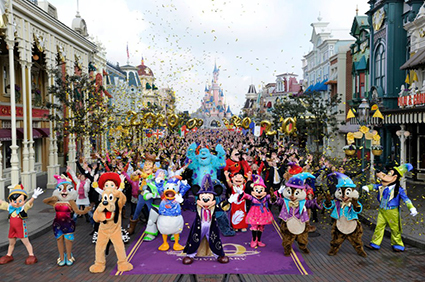 Disney Magic on Parade: - Disneyland Paris parade was uncovered for the park’s 20th Anniversary. The costumes are gorgeous, the floats are colorful and music is very catchy. It’s so energetic and pretty that it is hard not to love it. This parade is very popular so when you visit Disneyland then must visit this parade. Pirates of the Caribbean: - Pirates of the Caribbean is a boat ride back in time to the days when pirates ruled the Caribbean. 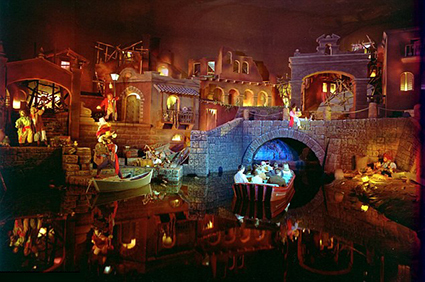 The attractions features Audio Animatronics pirates engaging in swashbuckling mayhem. This ride is housed in a beautiful bunker style fortress with an elaborate queue containing a lot of detail. The logical consequence of the decadent and nefarious lifestyle of pirates is death. To reach some conclusion, you have to assume the beginning is a story framing the rest of the story. That might work in heart of Darkness but this is a theme park attraction. This is the best ride and also this version has a few effects that are working then are very impressive. Big Thunder Mountain Railroad: - Big Thunder Mountain a rollercoaster themed as a runaway mine train on a ride through the barren landscape of the Old West. Its location on an island in Frontierland. 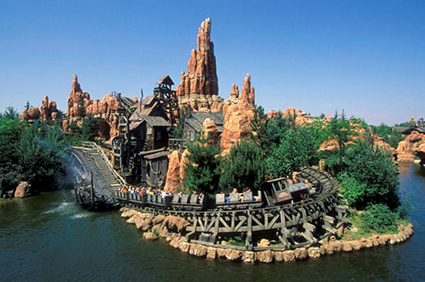 This is the best version of Big Thunder Mountain Railroad. 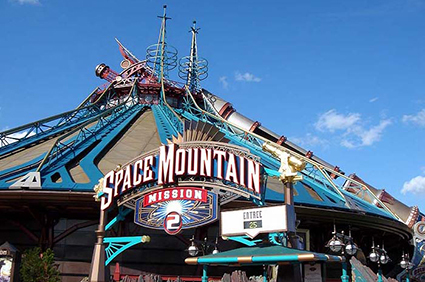 Space Mountain: Mission 2: - Space Mountain: Mission 2 is a dark intense roller coaster through outer space. This ride is awesome. The outdoor blast-off is all sorts of cool, and there is more of visual interest than the other Space Mountains. This isn’t just the minor thrashing you get on a rough roller coaster–Space Mountain: Mission 2 seems to strive for minor brain damage. This beautiful exterior is a big part of Space Mountain’s saving grace here, as the score for just the ride itself would be much lower. 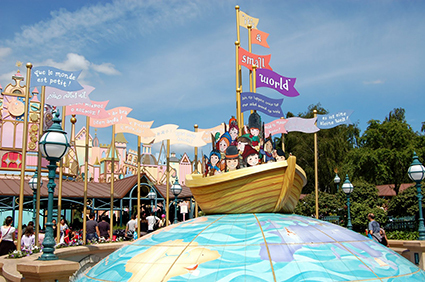 ‘It’s a small world’:- The classic boat ride features the children of the world. Those familiar with Mary Blair’s art will spot a noticeable difference between this and the US version. The design is overall more detailed, and perhaps this was an attempt to make it more appealing to a European audience that likely isn’t familiar with Mary Blair.The beauty and refinement is more deceptively, simple and more detailed. The sets are still reminiscent of the original and dolls are in the same style. 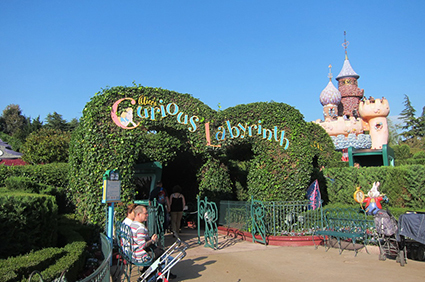 Alice’s Curious Labyrinth: - Walk-through interactive hedge maze based on Alice in Wonderland with some cool scenes and the Queen of Hearts’ Castle at the end. This is a fun area to explore. The view of Fantasyland from Queen of Hearts’ Castle at the end is the highlight. 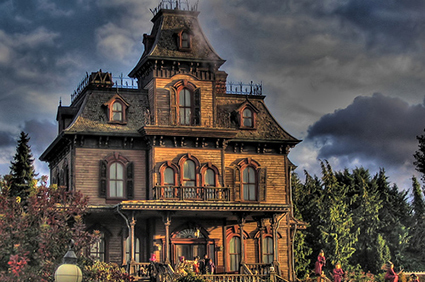 Phantom Manor:- This is Disneyland Paris take on the Haunted Mansion, which is a slow-moving ride through a house that is inhabited by haunts. Phantom Manor offers a brilliant twist on the conventional Haunted Mansion, with just as many differences as similarities and an overall darker tone. This is an absolute must-do for all guests visiting Disneyland Paris, and we recommend doing it first thing in the morning or late at night to avoid crowds. 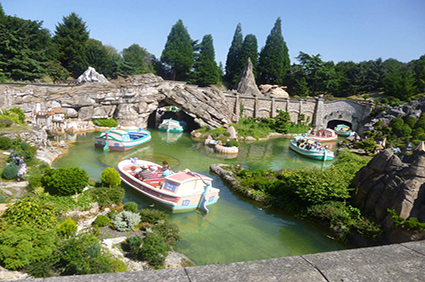 Le Pays de Contes de Fees: - This is also known as Storybook Land Canal Boats in English, this is a boat ride through miniature storybook scenes from Disney classics. This is basically a modernized version of the quaint Disneyland classic, with improved/modernized ride infrastructure. 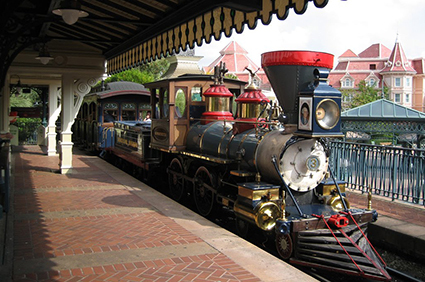 Disneyland Railroad: - A railroad ride around the perimeter of Disneyland Paris with scenic surprises along the way. Much like everything at Disneyland Paris, the (Euro) Disneyland Railroad has a ton of meticulous detail, especially at the Main Street Station. The Grand Canyon diorama is also nice, as are other familiar scenes along the way. 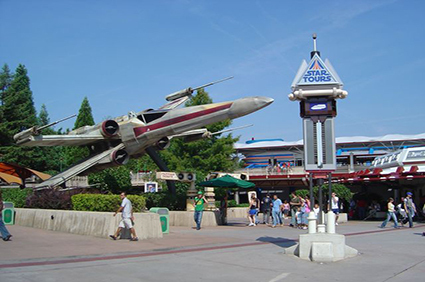 Star Tours: - Star Tours is a flight-motion simulator into the Star Wars world with Audio Animatronics characters and in-vehicle effects. 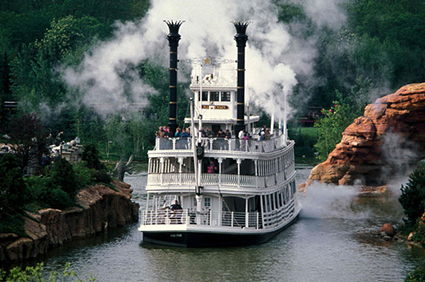 Thunder Mesa Riverboats: - A boat ride around the Rivers of America aboard either the Mark Twain or the Molly Brown, departing from the Thunder Mesa dock. Disneyland Paris’ Frontierland/Thunder Mesa is a beautiful place, and this is the best way to see parts of it that you won’t otherwise see, including great views of Big Thunder Mountain, Wilderness Island, caves, and more. It’s a great ambiance ride with some excellent views.